Weekly Response: Podcast Sneak Peek! Every week we’re asking our summer interns to share some thoughts and responses to various experiences and readings. This week we asked them to share about their upcoming podcast episodes. To read more posts from JMM interns, past and present, click here. Inescapable: The Life and Legacy of Harry Houdini is one of those exhibits that really brings people into a Jewish Museum that might not otherwise think to visit a specifically “Jewish” museum. It provides a popular topic with modern appeal (magic! ), and creates an opportunity to connect people with a Jewish narrative in unexpected ways. Originally, for our podcast (which I’m working on with interns Alexia Orengo Green and Cara Bennet), we were inspired by the Houdini exhibit here at the JMM. We wanted to explore how Jewish narratives can appeal to a wider audience, much like in the Houdini exhibit, and what connections can be made to draw people in that are outside of the Jewish community. However, “Jewish narratives” is a broad, broad topic. We talked for a while and found ourselves on the topic of feminism, an issue we thought was current and had a wide appeal, both inside and outside of the Jewish community. When we started to excitedly chat about all the different things we thought were interesting about feminism within the Jewish community, we realized that we had pinpointed our topic for our podcast. I think the hardest thing so far for our podcast has been editing down and refining our ideas. Because our group consists of three people, we each have different topics that we have a lot to say about within the feminist movement in Judaism. I’m most interested, for example, in the Haggadah supplements that are used during Passover. The Haggadah is the traditional text read during the beginning of Passover, a holiday that celebrates the Jewish escape from slavery in Egypt. There are modern supplemental texts that can be read alongside, or in place of, the Haggadah. These supplemental texts many times include social justice topics and focus on freedom and justice within different communities in our society, so there are many feminist Haggadah supplements that have been written and are available online. 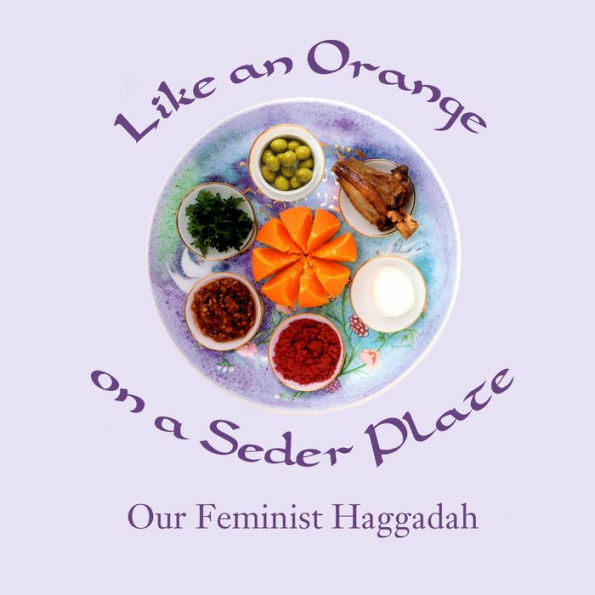 Since Passover is a holiday about freedom from slavery, there are a lot of opportunities to talk about feminism and other movements within marginalized groups. However, there are a lot of other topics that are also important to feminism in the Jewish community, so refining and editing everything we want to cover in our podcast will be our biggest challenge moving forward. As someone who has now recently began listening to podcasts, I was thrilled when I learned that I had to create one as part of my internship in the Jewish Museum of Maryland. Being completely honest, I was a little nervous because of the many topics to choose from. One day in the office while talking with my fellow interns about the podcast we decided to team up for this adventure. Being the collections interns, Ash Turner, Cara Bennet, and I decided that we wanted to incorporate the element of exhibits into our joined podcast. And as soon as we decided that we were going to do the podcast together the next question was: what are we going to talk about? Regarding the topic of our podcast, we knew we wanted two things: the topic had to relate to the Jewish community and that it should be something that could have the possibility of being turned into an exhibit in the future. After brainstorming and coming up with more historical based ideas, the topic of feminism in the Jewish community came up, and we all knew we had found what our podcast was going to be about. This topic does not only engage with the Jewish community, but it also contributes to an extremely important conversation. 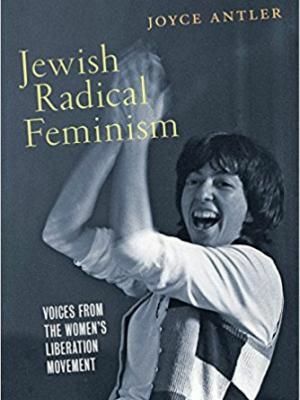 Cover of Jewish Radical Feminism by Joyce Antler. Image via Jewish Women’s Archives. Once we had our topic, everything began to fall into place little by little. The first thing we had to decide was what kind of podcast we wanted to create. We decided to go for a more informal and conversational style of podcast because that way we could reach a greater audience. By also being a conversational podcast, the audience would not feel they are listening to a lecture, but rather an easy conversation to follow. Because of the many things we can talk about on a feminist Jewish podcast we had to be thorough when it came to select what we were going to say. We decided that on the episode we are going to start by defining what feminism is, why we chose the topic, and what it means for us. This is important because it gives the audience a small introduction of the overall topic. Then we decided we are going to touch base with how feminism looks in contemporary Jewish practices and finally, which woman would each of would like to highlight in an exhibit of feminism in the Jewish community. 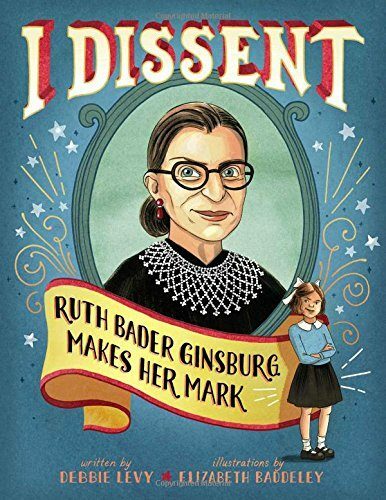 Book cover of I Dissent by Debbie Levy and Elizabeth Baddeley. We believe this podcast will contribute to the greater conversation about feminism that we are having in today’s world. Even though we are only creating one episode of the podcast we all know this topic has the possibility of being more. 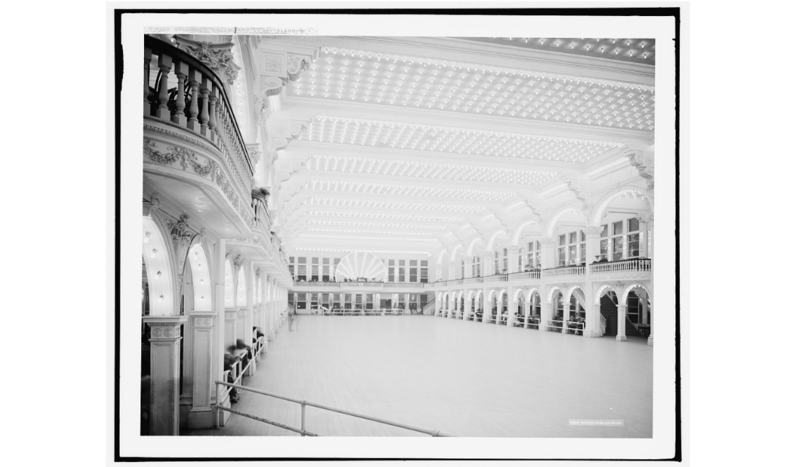 I am very pleased to announce the first (and likely only) installment of Peering Into History, a podcast about parts of history oft forgotten, hosted by me, Marisa Shultz. 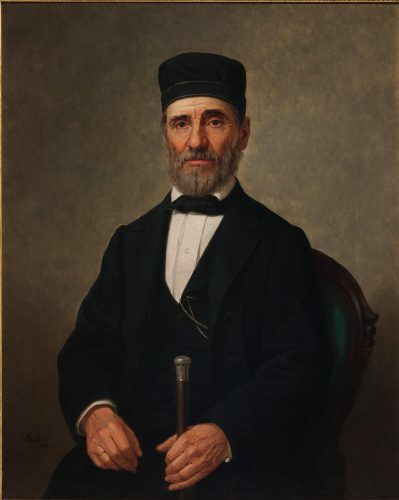 In this episode, I am going to describe the spectrum of contemporaneous Jewish perspectives on slavery in Antebellum America. Specifically, I am going to examine the ideologies of Rabbi Bernard Illoway and Rabbi David Einhorn, both of whom served in Baltimore just prior to the Civil War. Researching the podcast was an interesting experience; I have done some work on this general subject before, but I did run into some challenges. 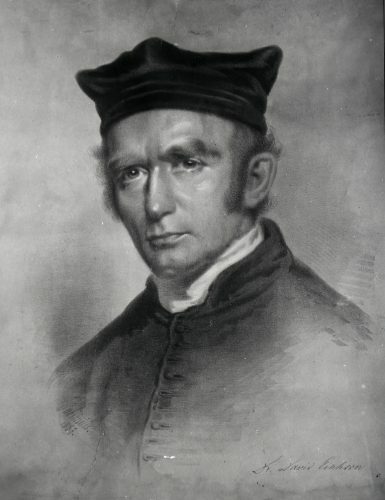 Namely, Rabbi Einhorn published mostly in German, a language that I cannot read, but I was lucky enough to find a translated version of one of his sermons. Finding Rabbi Illoway’s writings was fairly easy, but combing through to find the few devoted just to the subject of slavery was more of a challenge. Through this process though, I found new electronic newspaper resources, namely with the National Library of Israel. Writing the podcast was also a unique experience. I had to gauge the audience and take a guess as to what their knowledge might be in regard to the subject. I had to make sure I kept the action moving so as to engage my listeners, and I had to consider the lack of a visual elements, like tables or charts. I think I have found a nice balance though, and I am really quite excited to share this episode with you. I’ve done a good deal of work in the Civil War field and I’ve found that we often talk about the opinions of protestant leaders and government officials, but the perspectives of the Jewish community are often either completely ignored or presented as uniform in thought. I really hope you take the time to listen to the episode when it comes out, and I hope you learn a little something new! I was nervous when us interns were first assigned the task of recording a ten to fifteen-minute-long podcast. Ten to fifteen minutes seems like an eternity to someone like me who has a less than positive relationship with public speaking. But after choosing our topic (the relationship between Judaism and Feminism) I realized ten to fifteen minutes isn’t nearly enough time to cover a topic we all felt so passionately about. I first began thinking about this topic during my internship at the National Women’s History Museum this past spring. As I was writing an article highlighting important Jewish American women in history, I realized how many Jewish women were involved in the women’s rights movement. 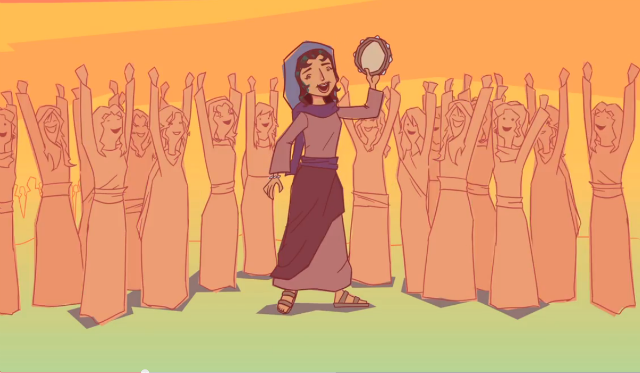 When I first learned about prominent second wave feminist leaders like Betty Friedan and Gloria Steinem in my high school history class, I never made the connection that they were Jewish or thought about the role that Judaism played in their decisions to speak out against gender inequality. 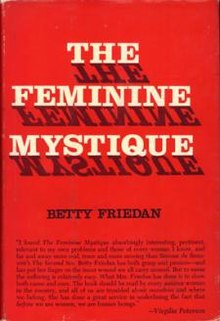 Betty Friedan’s “The Feminine Mystique” is often credited with starting the second wave feminist movement and consciousness raising of the 1960s. Image via. While researching this topic, the Jewish Women’s Archive was an invaluable resource. While one of the major criticisms of Second Wave Feminism is its focus on white cisgender women, the Jewish Women’s Archive does a great job of highlighting women of color and LGTBQ women like Ilana Kaufman, an LGBTQ and civil rights activist, and Alicia Garza, one of the founders of the Black Lives Matter movement. 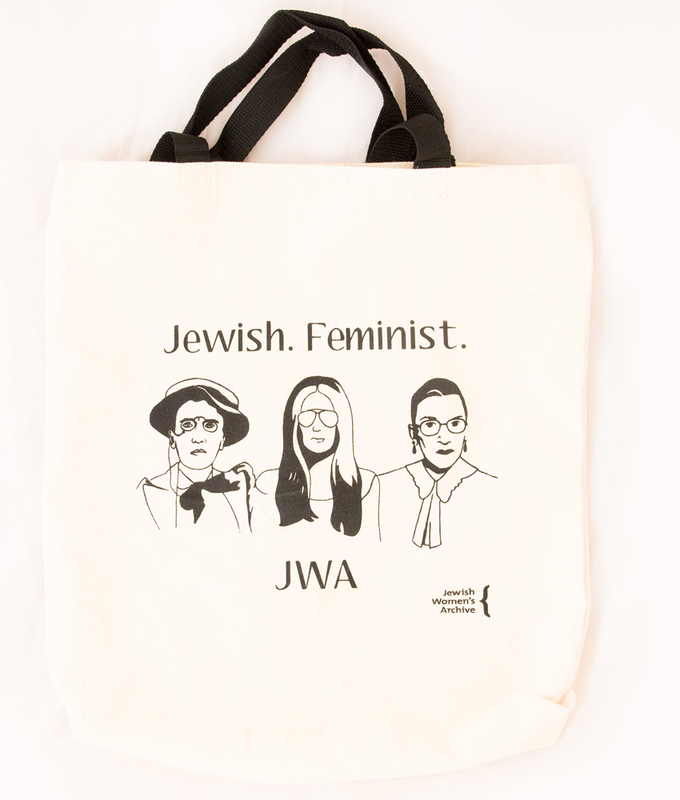 The Jewish Women’s Archive sells products featuring prominent Jewish Feminists including Emma Goldman, Gloria Steinem, and Ruth Bader Ginsburg. Image via. Every week we’re asking our summer interns to share some thoughts and responses to various experiences and readings. This week we asked them to select a museum-related podcast and share their reviews, in preparation for creating their own podcast episodes later in the summer. To read more posts from JMM interns, past and present, click here. As someone who recently got interested in podcasts this week’s response was fun because it gave me the opportunity to find new shows. Podcasts can be an informal and fun way to learn about a certain subject on your way to work, while on the train, or even while cooking dinner. This week I discovered the podcast American Icons by Studio 360 on WNYC. As the tittle indicates, this podcast explores several American Icons and how they became icons. The podcast goes from explaining more serious topics such as the Lincoln Memorial to less formal topics such as The Wizard of Oz. This ratio of topics makes the podcast appeal to a greater audience and gives more options to its listeners. American Icons is a well-done podcast that explains its different topics in an informal academic way. By doing this the audience feels its learning something new, but not taking a lecture. Another aspect of the podcast I enjoyed is how it interacts with the audience asking them questions, sparking curiosity, and challenging their knowledge. 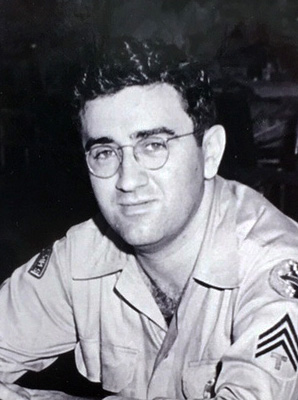 American Icons also makes historical connections to the episode’s topic, an example being Superman and the Jewish community that immigrated to America. 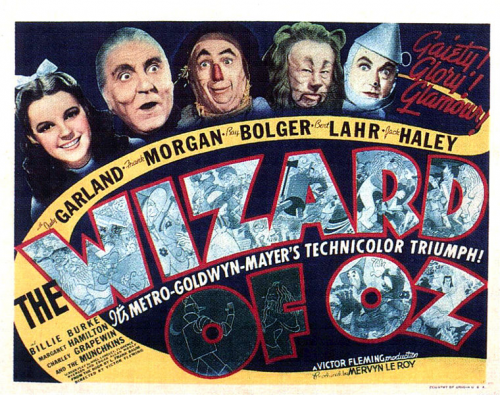 The podcast also incorporates the social factors that influenced America to create icons. An example of this would be the controversy surrounding the Vietnam Memorial. The controversy arose because of the anti-war sentiment the Vietnam War had and the proposal that was selected for the memorial. This memorial sparked sentiment and forced people to have a conversation about the war. 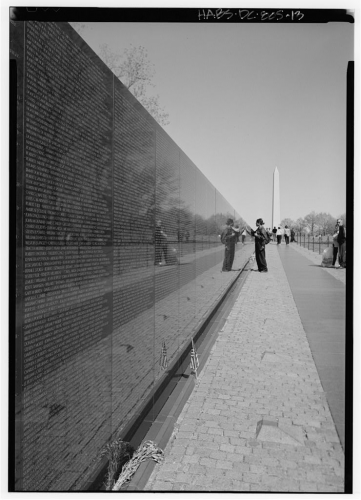 The memorial is made of a black granite wall, in which visitors can see their reflection. In the memorial, the names written on the wall are on the order from the first soldier that died during the war to the last. This memorial was the first one of its kind making it and American icon. The podcast tangles perfectly the historical and social factors making the listener connect with the story. American Icons explains different aspects of American history in a thought-provoking way. The podcast brings different topics to the 21st century and allows its listeners to connect to different stories. This show connects historical, cultural, and social factors while appealing to a large audience. Admission fees, location, and hours shouldn’t prevent people from accessing all the information that museums have to offer. Museum podcasts are a great solution to this problem. They allow people to learn from and engage with a museum for free whenever it’s convenient for them. Podcasts connect students living in remote locations like Alaska or Hawai’i to museums in Washington, D.C. despite time differences or their ability to travel. Podcasts give museums the opportunity to highlight certain objects in their collections and the roles of various staff members, discuss important issues in the museum field, and to promote upcoming exhibits and public programs. Podcasts also help museums keep visitors engaged by educating and continuing conversations long after they’ve left the museum. 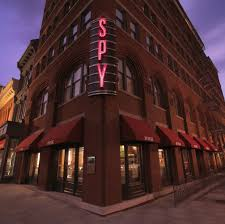 The International Spy Museum in Washington, D.C. 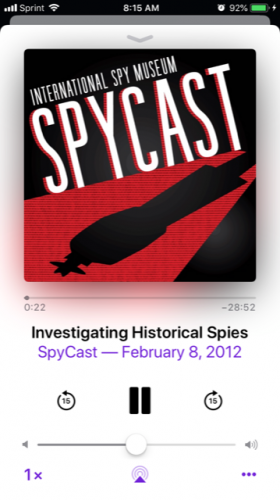 This past week I’ve been listening to “Spycast” a podcast produced by the International Spy Museum. 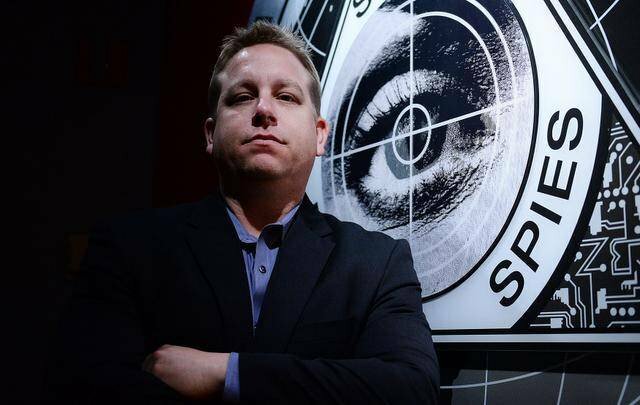 While I’ve been to the Spy Museum a few times before, I’ve already learned so much more about the museum and its collections from the podcast. Episodes feature interviews with authors, historians, and intelligence professionals. Some of my favorite episodes I’ve listened to so far are interviews with former intelligence professionals, particularly women that got started in the CIA in its early days as an agency. Listening to their first-hand accounts is fascinating and not necessarily something visitors could experience by just visiting the museum. The episode of “Spycast” I’m listening to as I write this blog post. Spies, Covert Ops, and Secrets, Oh My! Admittedly, I have always been a bit iffy on podcasts. I am such a visual person that I even prefer to watch television and movies with subtitles, and I have had my fair share of run-ins with podcasts so poorly done that they have taken an interested topic and made it utterly boring. But, I have been pleasantly surprised, actually, way more than pleasantly surprised by SpyCast, put together by the International Spy Museum in Washington D.C.. One of the greatest beauties of the program is that the project began in 2006 and has had weekly installments since 2015, so for someone just discovering this gem, there are many episodes to explore and lots of content to learn. Also due to the series length, if a particular episode does not interest you, there are so many more to choose from. However, it would be challenging to find an uninteresting episode, for the podcast prides itself on telling unusual and fascinating stories about a corner of history often shrouded in deceit and shadow. While the scope of the show may be somewhat limited due to its subject (governmental intelligence, espionage, and their implications) the podcast covers a great deal of ground, both historical and modern, within that scope. 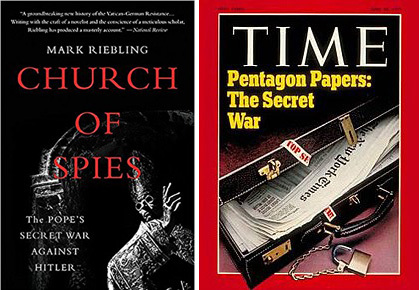 From the Pope’s spies in World War II to the Pentagon Papers and everything in between both micro and macro, SpyCast covers it all. While the extent of content and number of episodes is a huge bonus for the podcast, there are two major reasons it works so well. For one, the guests they choose to interview are always experts (often with recently published books) or individuals who have experience in the intelligence or espionage fields; the guests are always well-spoken, interesting, and insightful too. The other reason is the podcast’s host: Dr. Vince Houghton. Dr. Houghton does an excellent job at maintaining the programs energy and keeping the conversation flowing. He asks insightful questions that encourage the speakers to share their thoughts and experiences, and while he may tell a short anecdote from time to time, he largely allows the spotlight to be on the guest. Overall, I would say that SpyCast has found a formula that works brilliantly! In this episode, you hear a low voice, as if a bedtime story is being read to you, and you are slipping into sleep, mixing what is a dream with what is reality. 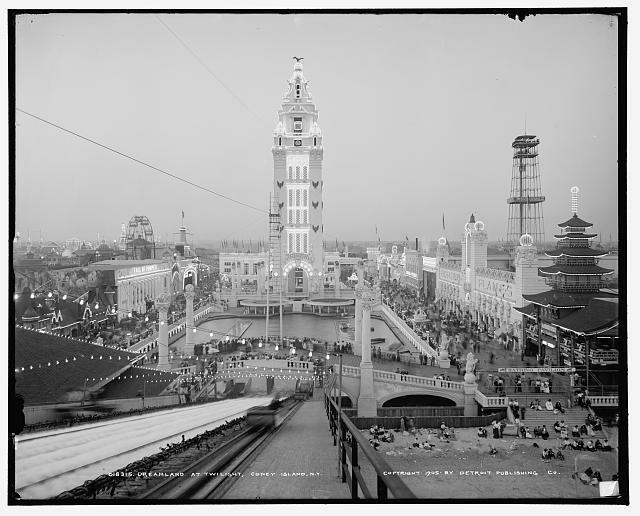 But what is being told really happened, and you’re transported to the memory of this place—Dreamland on Coney Island. You’re slowly dipped into this time period, this piece of history. It is a story at the same time it is descriptively real, and in this way, it feels like a memory, where it sits comfortably somewhere between dream and reality. This way of telling history through sound creates an experience for the listener. I found myself pulled in through The Memory Palace’s sound design and detailed, almost nostalgic, historical descriptions. Some of the episodes were heavier with their facts and left me with a specific thought or critique about the historical subject. Other episodes were lighter and invoked a feeling of living in that period of time, or a sense of being in a certain place. I enjoyed that the episodes shifted between heavier and more wistful episodes, since some episodes and their subjects (such as “Hercules,” about George Washington’s slave who escaped to freedom) fit in better with a critical narrator, rather than with dewy-eyed descriptions. The Memory Palace stands as its own memorable art piece, as its own sort of museum, weaving together fact with story and sound. Each episode is its own small experience, each like a historical artifact, to be taken in one by one. 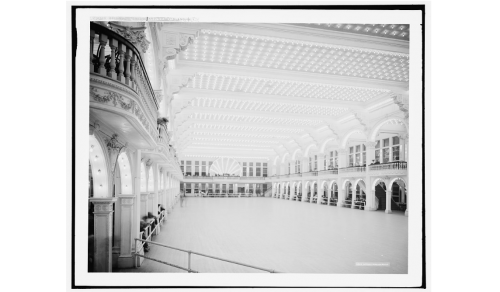 Podcasts allow museums to present information in a new way. The United States Holocaust Memorial Museum utilizes podcast in order to share the stories of Holocaust survivors. 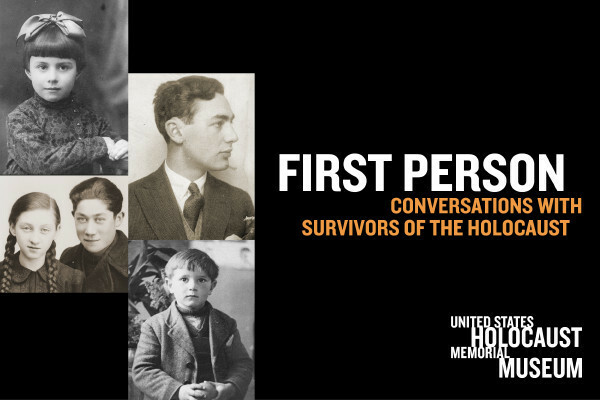 Through their podcast series “First Person: Conversations with Holocaust Survivors” audiences can listen to excerpts from longer interviews from survivors. These podcast are fairly short about five to fifteen minutes which allows the audience to listen to several in a small amount of time. There is something extremely powerful about hearing the stories of survival and Holocaust experiences from those who actually lived it. Reading a memoir does not provide the same experience as listening to the voices of survivors. Knowing that some of these individuals have already passed away makes being able to listen to their stories more powerful. This podcast series has a variety of different interviews. Some individuals talk about their experiences in the camps and others discuss death marches or Kristallnacht. The series allows audiences to gain a comprehensive knowledge of the copious experiences of the Holocaust. Often people only know about the camps; Auschwitz is all they know about the Holocaust. But this series allows listeners to gain knowledge of ghetto life, experiences of the death marches, transportations, and other parts of the Holocaust experience. I think this is a wonderful podcast series which allows people to personally connect to the stories of those who survived the Holocaust.